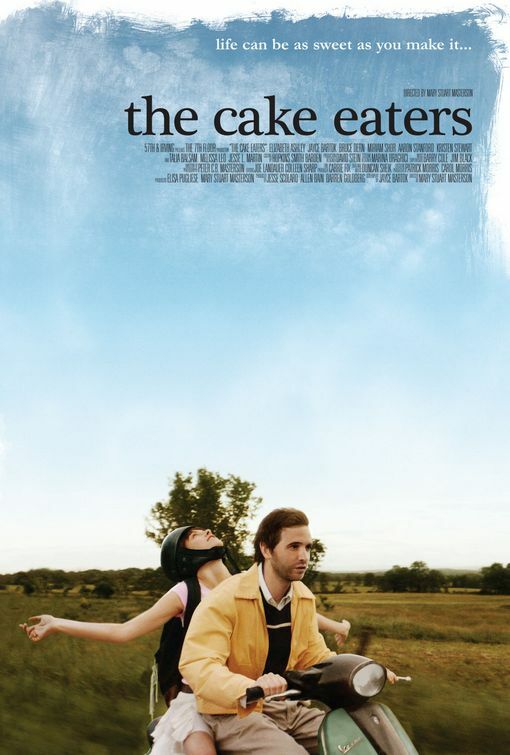 Before I watched The Cake Eaters - this little drama feature film - I didn't know what the term "cake eaters" meant or whatever it implies if it does imply something. After watching the film, I still didn't know what it meant. In fact, as simple as the film's plot is (or the lack of it), I can never for the life of me connect the title to the story. So I asked the help of my friend Google who presented me with many options for a meaning. But still it didn't make any sense. So I tried reading some reviews. And there it was, the one line that actually made sense: "...complete lack of meaning is the whole point 'cos life is like that..."
But it was still an okay film. Not really good, but not bad either. I like Beagle's character. I like how the 3 relationships in this story unfolded. I was also made aware of a certain inherited disease called Friedreich's Ataxia, Georgia's character's illness. In all fairness, the often grumpy-looking Kristen Stewart made justice to her role. I just have to constantly remind myself that I must forget for a while that I don't like her, and yeah, it kinda worked, for a while.